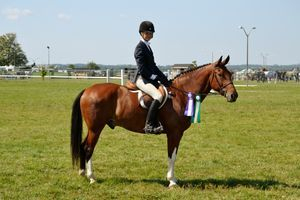 Running Bear (Arrow) - 2004. top of the line Large Pony gelding, Welsh x Paint. 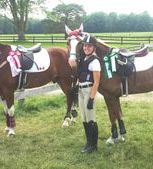 Arrow is one of our homebreds and has an extensive history competing in Large Pony, Beginner Children's Hunter, Low Hunters, Pony Jumpers, Dressage (1st Level), and Eventing. 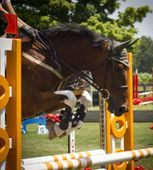 Arrow has also done double duty as a camp horse and a competition mount for our Foreign Working students who come to Canada for an 'A' circuit Jumping experience. Very competitive in all rings. Uncomplicated and fun. A super teacher. Available for sale or lease. 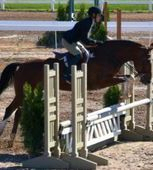 *** You can't let him get fat (a tough job) as he truly is top-of-the-line and will measure over if there is fat padding on his withers!